Ivan and Vivian (Blue) Timmons of Urbana will celebrate their 70th anniversary with a dinner with their children. 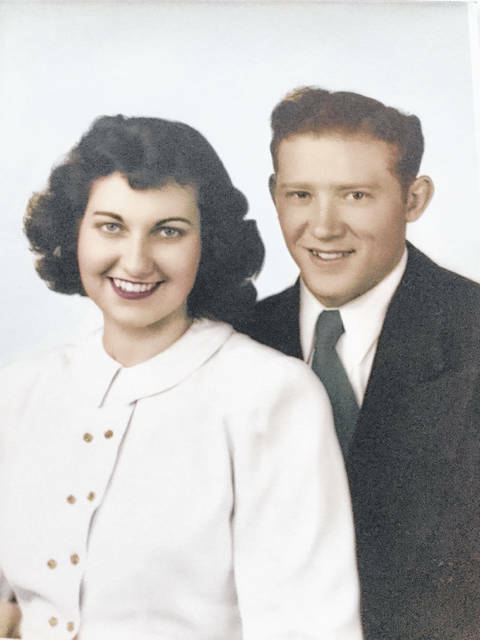 They were married Oct 16, 1948, at the parsonage of West Liberty Methodist Church by Rev. Petitt. They are the parents of Carol (Ralph) Wilson of Springfield, Bonnie Timmons of Urbana and Gary (Leah) Timmons of Urbana and have 10 grandchildren and 20 great-grandchildren. Mr. Timmons is retired from Westville Grain Co., and Mrs. Timmons is retired from Citizens National Bank.